The first time I read Dogger, I got a lump in my throat. Admittedly I’d had a couple of glasses of wine on a rare night out with a friend, but I think that tells you everything you need to know about this wonderful book. 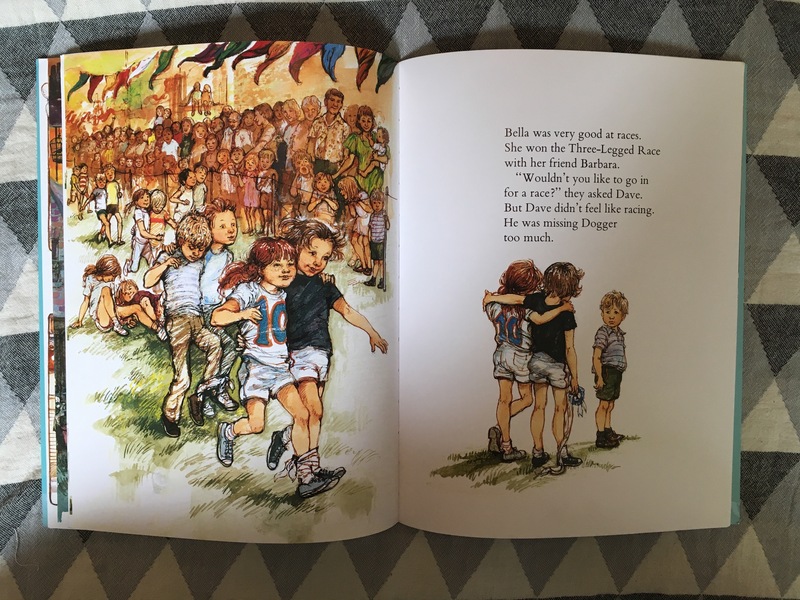 Written and illustrated by the legendary Shirley Hughes, it was published in 1977 and is arguably one of the most loved picture books of all time. Dogger has sold countless copies and despite Shirley’s quintessentially British illustrations, has been translated in many languages. It also won the prestigious Kate Greenaway Medal for outstanding illustration in a children’s book and in 2007, was named the public’s favourite winner of that accolade, beating the likes of Quentin Blake, the Ahlbergs, Lauren Child and Raymond Briggs. The book tells the story of Dave who has a favourite toy called Dogger. He is threadbare in places and his ears point in different directions, but that doesn’t matter to his owner. One day Dogger is lost and poor Dave is bereft without his furry friend. They look everywhere for Dogger but there is no sign. Then at a school fair Dave spots Dogger for sale on a stall. He tries to buy his toy back but events work against him, until his big sister Bella saves the day by kindly giving up a teddy she has won. The text is gently paced and not over the top, while the drawings are delightfully detailed rather than in your face. And you might think the story is a gentle one, too. 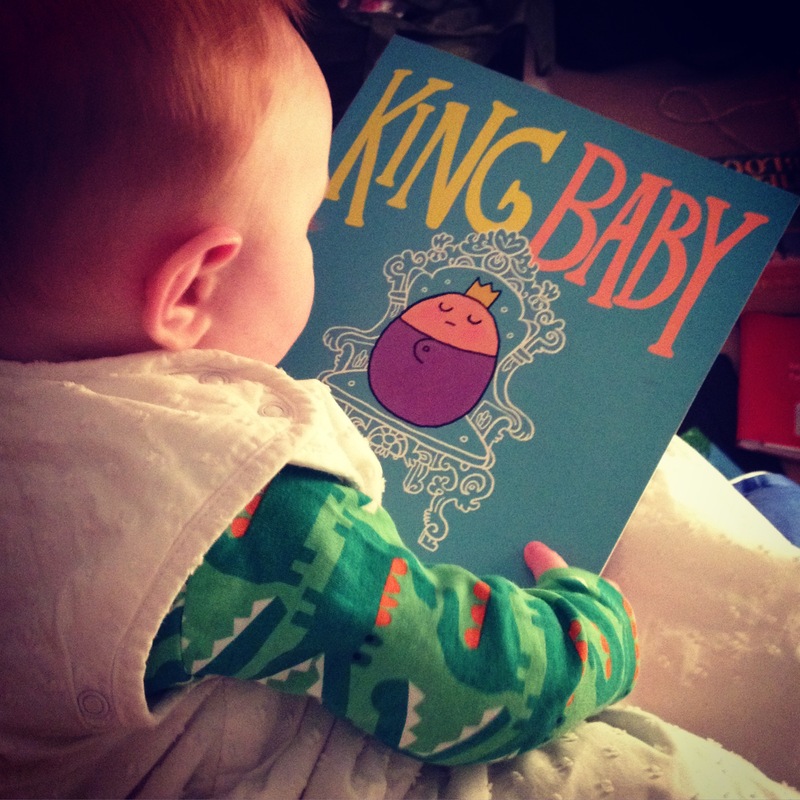 But for a tiny person, losing a toy rocks their entire world – and that of the parent who has to pick up the pieces. 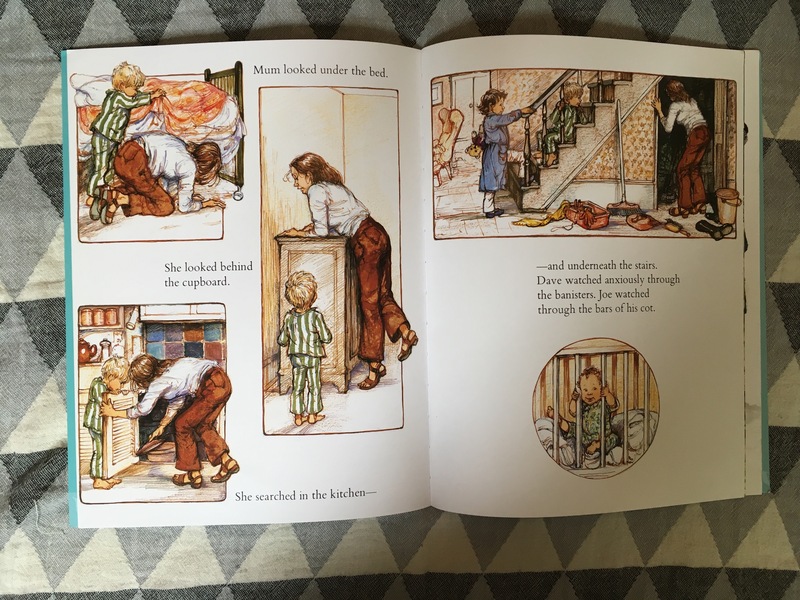 Thanks to Shirley’s special skill of capturing the little details of a child’s life, you can feel just how heartbroken Dave is, and how he is pining for his beloved toy. We all understand that pain of losing the one you love most, be it a person or a toy. Then there is the tender relationship with his sister and the kindness she shows him in getting Dogger back. It’s not an overblown and flashy gesture – it’s just the concern of an older sibling who wants to make things better. I think that is why Dogger still rings true for children 40 years after it was first published. It is completely relatable and timeless. Indeed, Dogger was based on a toy Shirley’s son had and her fear should he ever be lost. The story comes from the heart. I had the privilege of interviewing Shirley for Time Out London recently and it was wonderful to hear her take on childhood today. Society has changed since Dogger was written but there are fundamental experiences and emotions that endure between generations, like the trials of learning to navigate your place in the world and dealing with loss. Shirley knows this and it is why her books are so special and eternal. No wonder she gets letters from people who are sharing Dogger with their grandchildren, having read the book to their own children 30 years before. Everyone has their own Dogger. 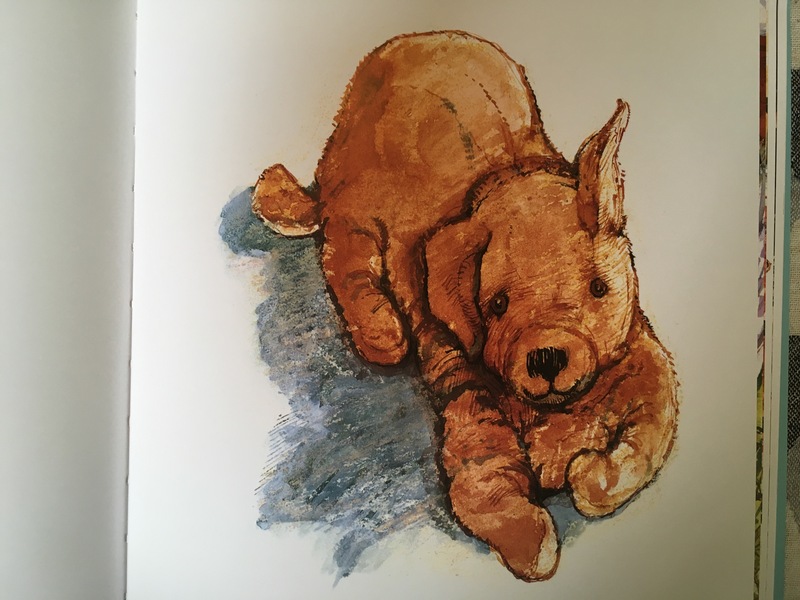 Two special editions of Dogger by Shirley Hughes have been released to mark her 90th birthday today and the book’s 40th anniversary. The hardback version (£12.99) includes a letter from Shirley and information about her life. The paperback (£7.99) comes with a story CD read by Olivia Coleman. Published by Penguin.